TACLOBAN CITY, Leyte, Aug 26 (PIA) -- Leyte Governor Carlos Jericho L. Petilla said that the provincial government of Leyte has developed the first-ever competitiveness index for a local government unit. Petilla made the pronouncement as the results of the Leyte Provincial Competitiveness Index project were presented to members of the League of Municipalities of the Philippines Leyte Chapter. The findings and ratings by the Index project will be the bases in extending financial and capability building support to local government units, said Petilla. The governor, however, said that the results of this index survey will not be for publication yet and neither is it final. In fact, the results were slated to be presented to Local Government Secretary Jesse Robredo, but his unexpected demise cancelled this presentation. However, the governor said he would still push for the presentation to the President for possible replication in the regional levels across the country. 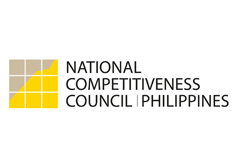 The LPCI project was developed through the support of the German Technical Cooperation (GIZ) to measure the competitiveness of the 41 local government units (LGUs) of the province. The project also was done with the support of the Visayas State University- Institute of Development and Research Studies and the Leyte Chamber of Commerce and Industry. The index developed will provide the province with a holistic perspective on the state of development of each LGU and identify specific areas where interventions are most needed. The primary objective of the program is to enhance the competitiveness of the Leyte LGUs by maximizing their resources and competitiveness. The project is specifically aimed at enhancing the LGUs’ consciousness of their own governance responsibilities through an objective evaluation process and to provide guidance to potential investors on opportunities and support facilities available in the province. The project also hoped to provide a performance-based mechanism for programming the provincial government’s development funds and to promote healthy competition among the 41 municipal LGUs by awarding the “best-performing municipality in absolute terms and best relative performance. Moreover, the LPCI project hopes to encourage the sharing and replication of good practices among the municipalities in the province and possibly among other provinces; and to support the province’s investment promotion activities. Six indicators that were identified include dynamism of the local economy, cost of doing business, infrastructure, responsiveness of the LGU to business needs, human resources and training and quality of life.